Washington – The trade clash between President Donald Trump and China’s government is escalating, with Beijing pledging to “counterattack with great strength” if Trump follows through on threats to impose tariffs on an additional $100 billion in Chinese goods. Trump made his out-of-the-blue move when China threatened to retaliate for the first round of tariffs planned by the United States. But for someone who has long fashioned himself as a master negotiator, Trump left it unclear whether he was bluffing or willing to risk a long trade dispute between the world’s two biggest economies, with steep consequences for consumers, businesses and an already shaken stock market. The White House sent mixed signals on Friday as financial markets slid from investor concern about a significant trade fight. Trump’s latest proposal intensified what was already shaping up to be the biggest trade battle for more than a half century. The U.S. bought more than $500 billion in goods from China last year and now is planning or considering penalties on some $150 billion of those imports. The U.S. sold about $130 billion in goods to China in 2017 and faces a potentially devastating hit to its market there if China responds in kind. 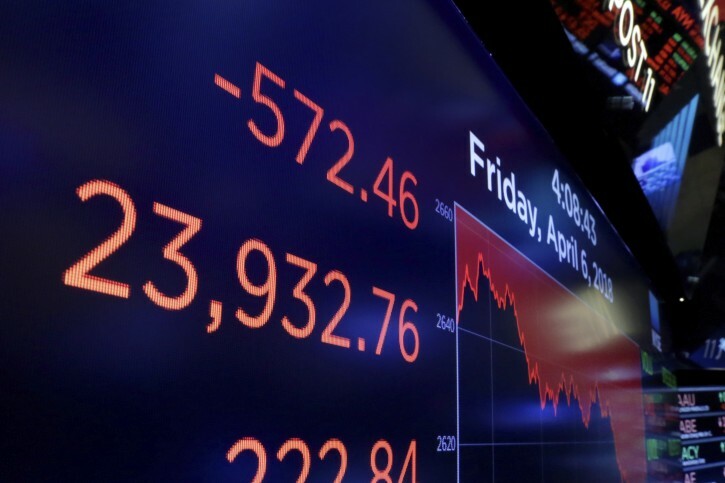 Global financial markets have fallen sharply as the world’s two biggest economies squared off — the Dow Jones industrial average sank 572 points Friday. Trump told advisers Thursday he was unhappy with China’s decision to tax $50 billion in American products, including soybeans and small aircraft, in response to a U.S. move this week to impose tariffs on $50 billion in Chinese goods. “If the U.S. side announces the list of products for $100 billion in tariffs, the Chinese side has fully prepared and will without hesitation counterattack with great strength,” spokesman Gao Feng said. He gave no indication what measures Beijing might take. “The administration needs to be thinking about the unintended consequences and what are those ripple effects, those domino effects, and what are the retaliatory actions that are likely to be taken,” said South Dakota Sen. John Thune, the Senate’s No. 3 Republican, in an interview with KDLT-TV in Sioux Falls. The standoff began last month when the U.S. imposed tariffs on imported steel and aluminum. China countered by announcing penalties on $3 billion worth of U.S. products. 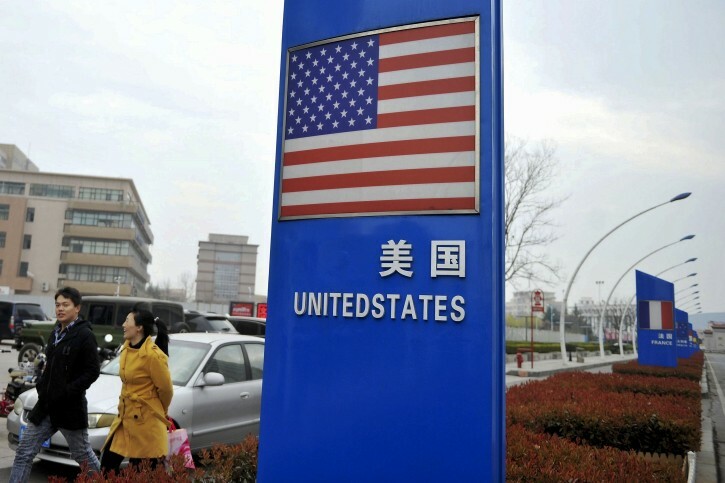 The next day, the United States proposed the $50 billion in duties on Chinese imports. Beijing responded within hours with a threat of further tariffs of its own. Further escalation could be in the offing. The U.S. Treasury is working on plans to restrict Chinese technology investments in the United States. And there’s talk that the U.S. could also put limits on visas for Chinese who want to visit or study in this country. Kudlow told reporters the U.S. may provide a list of suggestions to China “as to what we would like to have come out of this,” and those issues were under discussion. For Trump, the dispute runs the risk of blunting the economic benefits of his tax overhaul, which is at the center of congressional Republicans’ case for voters to keep them in power in the 2018 elections. China’s retaliation so far has targeted Midwest farmers, including growers of soybeans, corn and wheat. That could specifically harm core Trump supporters.